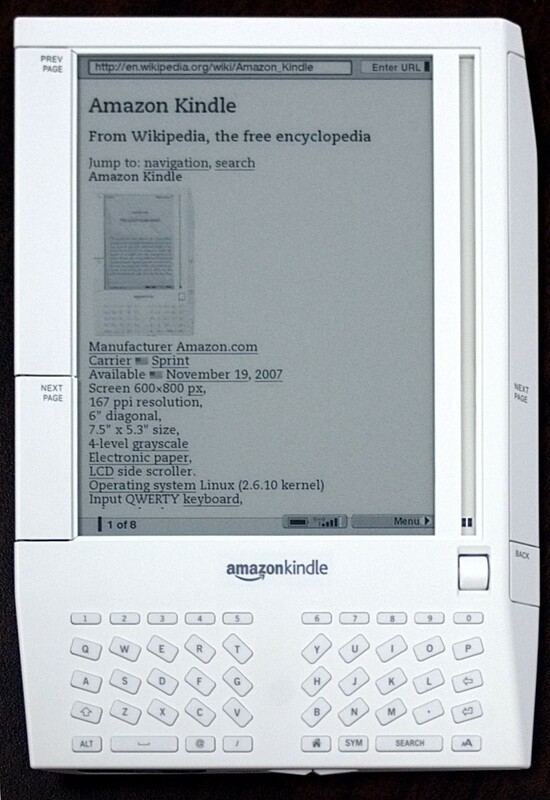 The screen technology used in e-readers like the Amazon Kindle was conceived by undergraduates at MIT. When Amazon introduced its first Kindle back in 2007, it raved about the e-reader’s “crisp, high-resolution electronic paper display that looks and reads like real paper, even in bright sunlight.” The tablet did not use the LCD screens that most consumers saw on their laptops or TVs. “It reflects light like ordinary paper and uses no backlight, eliminating the eyestrain and glare associated with other electronic displays such as computer monitors or PDA screens,” Amazon boasted. That first-generation Kindle used a technology called microencapsulated electrophoretic display, colloquially known as electronic ink, or e-ink. Amazon has since sold millions of Kindles, and the concept of e-reading has become ubiquitous. But back in the mid-1990s, creating an electronic book was a “dream,” according to Barrett Comiskey. That was when Comiskey, then an undergraduate at MIT, and his classmate JD Albert were recruited by MIT Media Lab professor Joseph Jacobson to create a technology that mimicked pages in a book. Jacobson envisioned a screen that wouldn’t give off light, and that you could tilt while still being able to see the text. He also wanted to make something that required little power to use—just like a real book. A common type of screen technology, found in laptops at the time, resembles a sandwich, with two sheets of glass as the bread—one on top, one on the bottom—and liquid crystals as the sandwich filling. The team wondered what would happen if they instead filled the sandwich with microcapsules—each one smaller than the width of a human hair—containing positively charged white particles and negatively charged black particles suspended in oil. In the early stages of their research, however, the team was met with doubt from experts in materials science and chemical engineering. “They told us that putting black and white oppositely charged particles inside a single microcapsule just couldn’t be done,” Comiskey wrote. But he and Albert persevered, learning the basics of microencapsulation and making microparticles to see if they could make the concept work. “It took longer than anyone thought, and more money than anyone thought, but eventually, just because the technology is so incredibly useful, and really does something unlike anything else in the world, it eventually found its place to the point now that it’s extremely ubiquitous,” Albert says. “I still smile whenever I sit next to somebody on a plane or a train and see them reading a Kindle,” Comiskey wrote. Both Albert and Comiskey have since left E Ink Corporation (it was bought out a few years ago); Albert teaches at the University of Pennsylvania and is a consultant in product development, and Comiskey is founder and CEO of Migo, a company delivering digital media to developing countries. Jacobson is still at MIT. All three were inducted into the National Inventors Hall of Fame this month for creating e-ink. The gravity-powered device uses a weight to generate up to 30 minutes of light as it descends. The biotech pioneer has started two dozen companies, and has over 800 patents to his name.